This divesite is named for the many grey whaler sharks that move around the area. The divesite consists of a few bommies on a plataeu structure. At the edge of the plataeu, the bottom slopes away to about 200 feet into a gully. In the gully are the whaler sharks. Since the gully is mostly sand, the dark colored whaler sharks are easily seen. In the protected area of the divesite, many of the smaller animals are found. 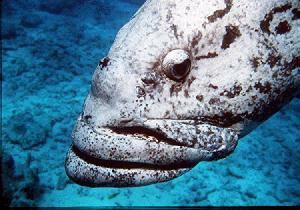 The smaller animals include clams, nudibranchs, potato cod, lionfish, pufferfish, featherstars, coral, and angelfish.